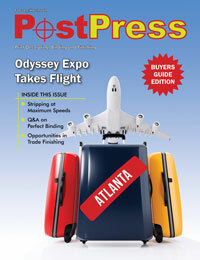 If you are involved with print finishing and decorating – from foil stamping and cold foil to digital foil/coatings and folding/gluing equipment – you can’t afford to miss this year’s Odyssey Expo, scheduled for May 1-3 in Atlanta, Georgia. 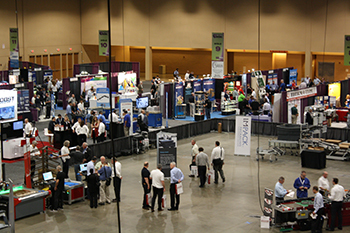 Come to learn from and network with all your favorite suppliers to the industry – see the new technologies and advances in foil and engraving supplies, foil stamping/embossing equipment, cold foil transfer foils and machines, digital spot coating and foil equipment, folding/gluing equipment and rotary diecutting equipment. See all of this over three full days for less than $150, with up to eight seminars! Or come for just one or two days for less than $100. Drive in or fly with inexpensive flights to Atlanta. It’s time for a road trip! To learn more, visit http://odysseyexpo.org or register at http://odysseyexpo.org/register-now/.